Two of Argentina’s most highly respected vignerons supply Diseño Malbec from old growth vineyards in Mendoza. Vines grow in fertile soil; rich with old mineral deposits, irrigated by heavy winter snow melt from the Andes glaciers. Diseño is the example from the Mendoza region, the Uco Valley and Lujan do Cuyo areas, of Argentina. The vines that produce the grapes for this wine come from two separate vineyards both with vines in the neighborhood of forty plus years old. 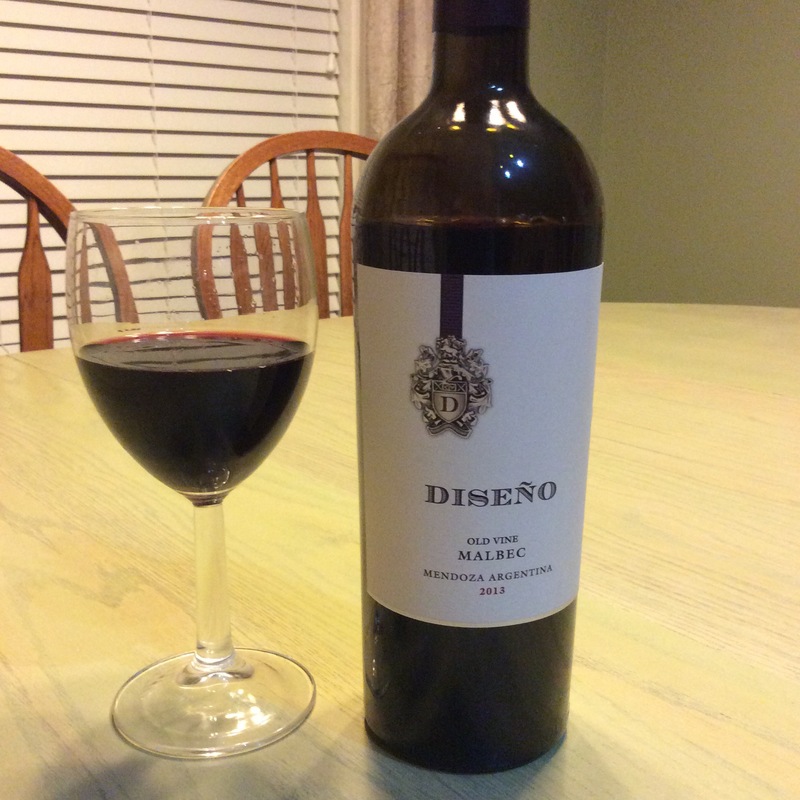 Aged in small barrels of French Oak gives Diseño Malbec soft tannins. The malbec has a deep purple color throughout the glass. The bouquet of violets and cherry blossoms opens this wine to the nose and then moves toward a hint of tobacco. Earthy blueberry and rich chocolate explode as it crosses the taste buds with a well-balanced acidity. I recommend pairing this wine with hard cheeses such as Gruyere or Parmesan, for main courses, with seafood risotto or beef.